Ireland Inc supports Irish brands and Irish identity, culture and innovation: How can we brand Ireland differently? Irish brands are continuing to ensure their survival, especially within the food and drink market. With Ireland exporting more and more home-grown brands all across the globe even with a worldwide recession still rampant, we had to wonder, who is excelling more than most? Barry's Tea was founded in 1901 in Cork City. Until the 1960s, tea was sold from a shop in Prince's Street, but thereafter as a result of its increasing popularity, the company expanded its wholesaling and distribution operations. By the 1990s, the company had become one of the largest tea suppliers in Ireland. It is also found in the UK, Spain, and in some areas of Canada and the US. Tayto is a major Irish crisps and popcorn manufacturer, founded by Joe Murphy in 1954. 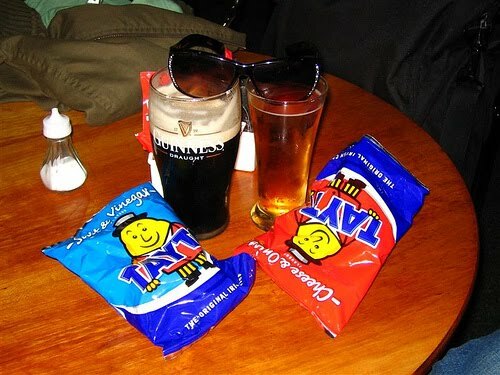 Tayto invented the first Cheese & Onion crisps as well as the process of the seasoned potato chip/crisps. Tayto crisps are a cultural phenomenon in Ireland, and "Tayto" is sometimes used in Ireland as a synonym for crisps. Guinness is a popular Irish dry stout. Guinness is directly descended from the porter style that originated in London in the early 18th century and is one of the most successful beer brands worldwide. The name Kerrygold was selected to evoke "farming, naturalness, goodness and above all quality milk" as well as a sense of Irishness. The brand has been a major player in the British market and also worldwide, developing a reputation as a premium quality brand. Europe's number one manufacturer of Gourmet Jelly Beans. Its brands "The Jelly Bean Factory" and "The Jelly Bean Planet" are sold in over 50 countries worldwide. The brands are known for their high quality, natural ingredients and innovative packaging.